Stockholm is the city of fourteen islands, the so-called “Venice of the North,” and is the home to one of Europe’s best-preserved old towns. It’s no wonder that this beautiful capital city had been on my travel bucket list for quite a while, and just two weeks ago, I finally checked it off. At about midnight, we arrived at Stockholm Arlanda Airport from Bergen, Norway, and hopped on the Arlanda Express. At only 20 minutes, this is the quickest way to Stockholm’s city center (though it’s probably the most expensive as well). We were incredibly tired at this point, but lucky for us, our hotel, the HTL Kungsgatan, was located on the same street as the Arlanda Express stop! Our hotel could not have been more conveniently located, because there’s nothing worse than scrambling to find your hotel, late at night, after flying in from another country. If you’re wondering where you should stay during your three days in Stockholm, we highly recommend the HTL Kungsgatan. Find other great deals on Stockholm accommodations HERE! After a good night’s sleep, we woke up, got dressed, and grabbed a quick breakfast and some coffee in the lobby. We were ready for our first of three days in Stockholm! First, we stopped at the Visit Stockholm tourism office to pick up our Stockholm Cards and to hear some recommendations from the accommodating staff. The Stockholm Cards, undoubtedly, were the greatest investment we could have made for our three days in Stockholm; we were admitted to every activity we could have dreamed of, free of charge, with our Stockholm Cards. Access to an unlimited amount of activities for your three days in Stockholm, for only 895 SEK (or about $107 USD), is quite the bargain (especially when you consider the hefty prices on just about everything in Stockholm). We decided that our first day of three days in Stockholm would be spent sightseeing, slowly and thoroughly. We wanted to get a feel for life in Stockholm and for the city, instead of just seeing the touristic sites (though we did do that, too!). From Visit Stockholm, we strolled leisurely through Stockholm’s busy streets, browsing in and out of shops, until we reached the waterfront. 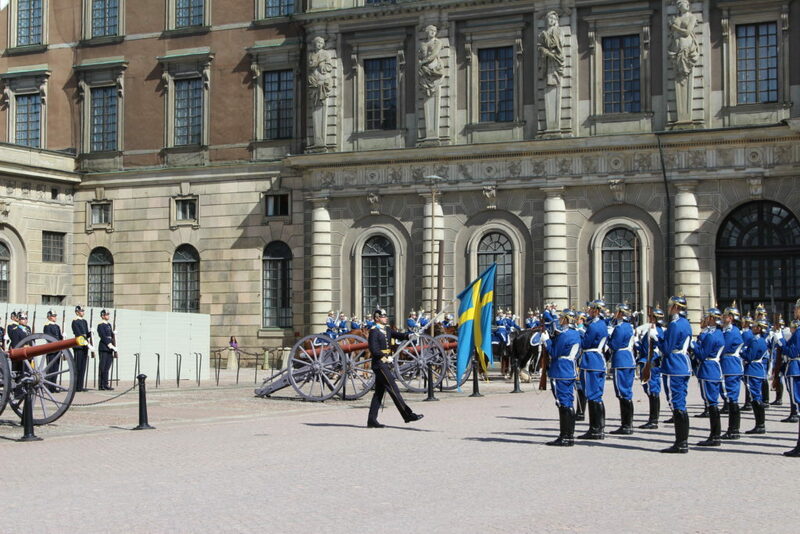 We passed Stockholm’s beautiful Parliament Building and Royal Palace, making our way to Gamla Stan. Gamla Stan is Stockholm’s Old Town, which is one of the best-preserved medieval city centers in Europe. In fact, the city of Stockholm was founded in Gamla Stan back in 1252. In Gamla Stan, we spent a bit of time wandering the narrow and winding cobblestone streets, surrounded by old and colorful buildings. If it weren’t for the souvenir shops in almost every other building, we may have felt as though we’d gone back in time about five hundred years. As we gawked at the beautiful architecture and the cramped alleyways, I couldn’t help but wonder just how many souls actually lived and died in Gamla Stan, in the very place I stood; the amount of history preserved in Gamla Stan’s walls really just blew me away. Gamla Stan is a must-see for any Stockholm visitor, not only for its historical architecture and picturesque cobblestone streets, but also for its great traditional restaurants and cute shops. In Gamla Stan, resides the oldest square in Stockholm: Stortorget. At Stortorget, you’ll find many people lazing about, having a meal or a fika, or just sitting and enjoying the sunshine and the picturesque scenery. Next, we moseyed back through Gamla Stan and over to Kungsträdgården, one of central Stockholm’s parks and a popular hang out spot among locals and tourists alike. 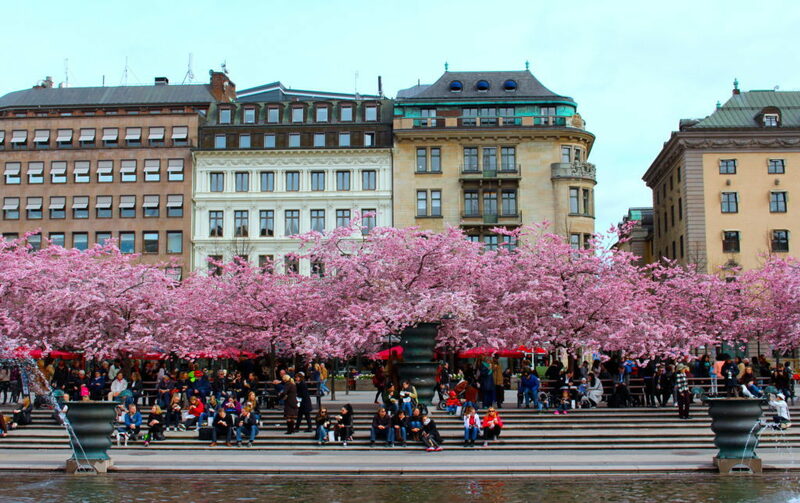 With spring’s arrival, Kungsträdgården was particularly popular, the park not only bursting with people enjoying the sunshine, but also with color as the cherry blossoms were in full bloom! It couldn’t have been more beautiful, and it was apparent that the Swedes were enjoying the spring sunshine, after months of dark, cold, snowy days. We sat on one of the many benches beneath the cherry blossoms and watched the frenzy of people taking photos of, and selfies with, the beautiful blossoms. After our feet rested a bit, it was time to check out the gorgeous view from Skeppsholmsbron (or Skeppsholm Bridge), a historical landmark, complete with its iconic Gilded Crown. From here, we could see the outskirts of Östermalm, Stockholm’s premier neighborhood, as well as Gamla Stan and Södermalm. Our stomachs were grumbling, so we set off for La Neta, Stockholm’s best, authentic Mexican restaurant (I know this seems random, but it was delicious!) which had already been recommended to us by a few locals. This was more of a feast than just a typical lunch, but what else was I supposed to do?! 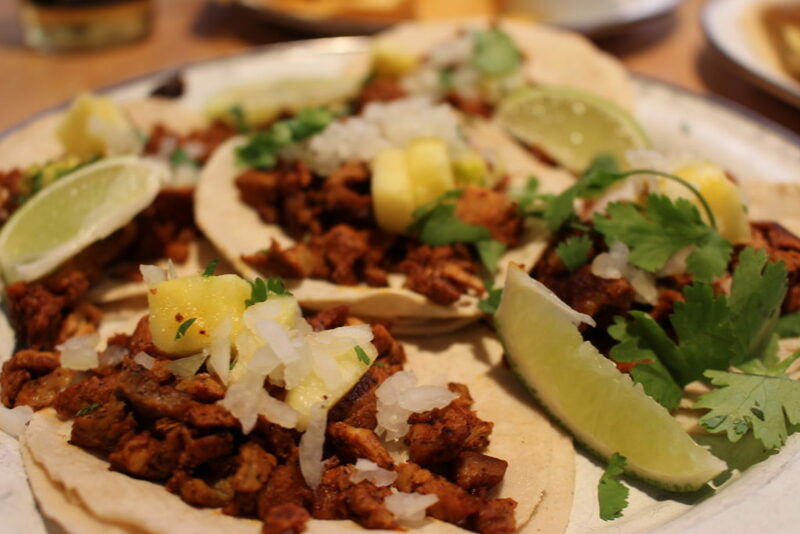 I’m a California girl; I love my Mexican food, especially when it’s as good as La Neta’s. As you can see from the photos, this place is worth a visit. Or two. Though it was possible to take a bus over to our next stop, we opted to walk, to see as much of the city as we could. As a lover of all things photography, it was only fitting that our first museum visit was to Fotografiska, one of the world’s best museums dedicated to photography, and photography alone. The experience was interesting, passionate, emotional, and even a little disturbing at times, and I highly recommend you to visit. Of all the free activities we participated in with our Stockholm Cards, this museum was the first. As soon as we stepped outside, a beautiful sunset fading from golden orange to pink into a lavenders sky dominated our view. What a perfect ending to our first of three days in Stockholm! But wait, it wasn’t over just yet. It was dinnertime. My favorite time (other than lunchtime). To finish off Day One, we figured we should grab a traditional Swedish dinner in Gamla Stan. 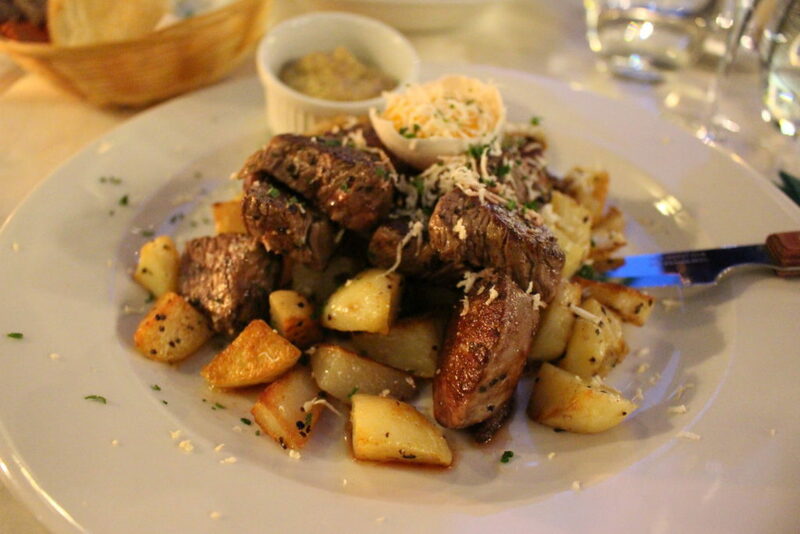 We stumbled upon a restaurant with a traditional-looking menu, called Torget, and sat down. First, we started with a bottle of red wine! Then, we ordered the Jerusalem artichoke soup with hints of truffles and rosemary, followed by our entrees of Swedish meatballs with creamy gravy, mashed potatoes, lingonberries, and sweet-picked cucumbers. Overall, this meal was superb. This meal set the standard for the rest of the food during our three days in Stockholm, and we were never disappointed. After eating those meatballs, I couldn’t wait to eat more meatballs. At this point, I knew for sure that I loved Stockholm. A quick note: Right after sitting down at our table, we began to scan the room and crowd, and realized that Torget is a gay restaurant/bar. But of course, that was fine by us. Day two comprised of a lot of walking, a lot of sightseeing, and a lot of museums. So in other words, it was the perfect day in Stockholm. After breakfast, we used our Stockholm Cards to climb aboard the 10:30 AM Royal Canal Tour boat, which floated along Stockholm’s canals, past many historical buildings and museums, and beautiful green parks. This tour allowed us to see Stockholm from a different vantage point. And along the way, we learned interesting facts about Stockholm’s history and people, that we wouldn’t have learned otherwise. You can book your Royal Canal Tour here! Next up on the itinerary for day two was the Royal Palace, which we were also admitted to free of charge with our Stockholm Cards. The decor inside the Royal Palace was mind-blowing, and a trip to Stockholm would not be complete without living as royalty does, if only for a few fleeting minutes. Next on day two’s to-do list were two very popular and impressive museums: Vasa and Skansen. 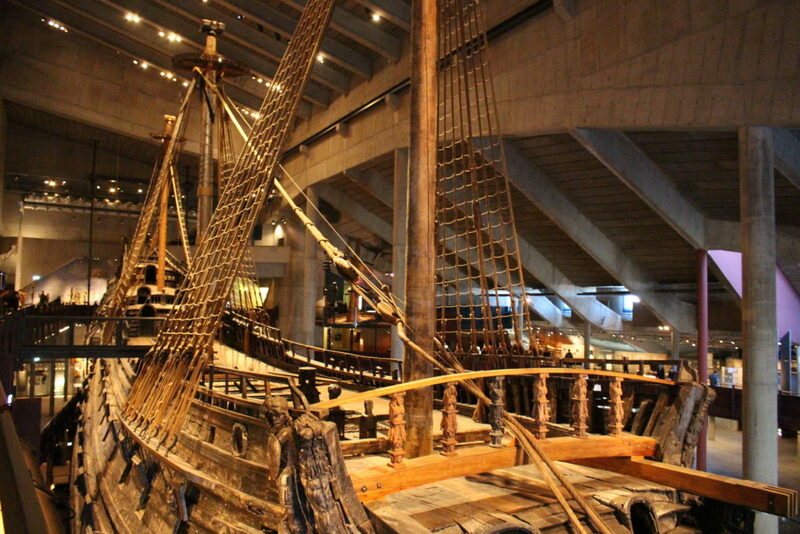 Vasa is a viking ship museum which houses King Gustav II Adolf’s beloved Vasa, who sank on her maiden voyage in 1628, only to be pulled from the depths of the sea, 333 years later, in 1961, and later, restored. With your Stockholm Card, admission to Vasa is free of charge, as well as to Skansen, the world’s first open-air museum, which would be our next stop. Skansen is an outdoor museum showcasing Sweden’s culture and animals, making for the perfect afternoon on a sunny day. We strolled past five centuries of Swedish history and spotted all kinds of Scandinavian critters, from reindeer and bears, to wolverines and lynx. Just outside of Skansen sat a bus stop which delivered us right back in the center of town (also free of charge with the Stockholm Card), at Kungsträdgården, where the usual cherry blossom obsession continued. From there, we walked over to Gamla Stan for another phenomenal traditional Swedish dinner at Restaurang Tradition. Day two’s dinner consisted of Swedish potato dumplings with lingonberries and melted butter, and of course, Swedish meatballs with mashed potatoes and the traditional trimmings. Amazing. From that moment on, I decided that I needed more Swedish food in my life. On our third day in Stockholm, there was still no shortage of fun things to do or good food to eat. Yet another amazing day in Stockholm awaited us. It’s kind of a funny process to watch, though it is a bit long too. If you’re in the area around mid-day, make sure to check this out, even if it’s only for a minute or two. Next up on our list was a guided tour of Stockholm’s City Hall, which was also, of course, free of charge with the Stockholm Card. 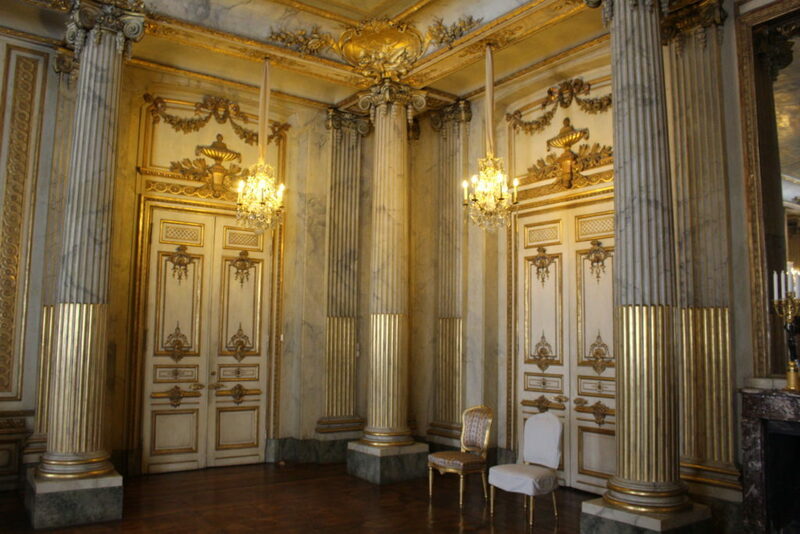 This tour lasted for about 45 minutes, showing us through the many rooms in which important banquets and political meetings are held, accompanied by a plethora of information about Stockholm, its politics, and its history. 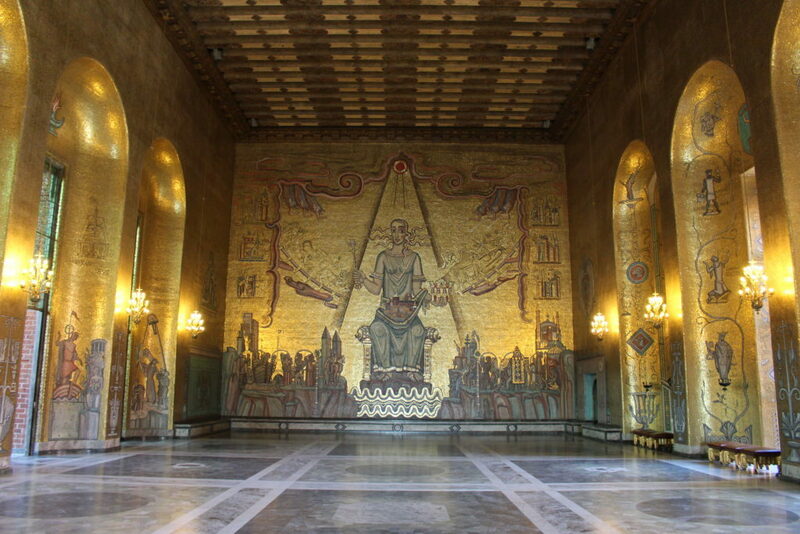 Without a doubt, my favorite part of the tour goes to the Golden Hall, where the walls dazzle with more than 18 millions gold tiles. I can’t even begin to imagine how much this room is worth, but it sure was beautiful (and just a little over-the-top). Around lunchtime, Asian aromas enticed us, pulling us into Restaurang Formosa, a Chinese joint which had accumulated quite the crowd. We figured, why not give it a try? I’m glad we did because, as you can see from the photos, a feast of Asian deliciousness ensued. During lunch, we also met the craziest Swedish man who asked permission to sit with us and “take a beer.” We happily obliged, lending to what may have been the greatest experience in Stockholm of all time. If you go to this restaurant, he may be there, because he’s a regular, and if not, make sure to go looking for him. You will find him at the art gallery around the corner, because it just so happens that the craziest, most entertaining man in all of Sweden owns the gallery. His name is Leif and he will make you laugh until you cry. After a quick break at our hotel, HTL Kungsgatan, we set out for our last activity in Stockholm: a Stockholm Ghost Walk through Gamla Stan. On this tour, we learned about Stockholm’s war, murder, and ghost histories. Our tour guide was very entertaining, and he took us through parts of Gamla Stan we had not yet seen! This tour was not included or discounted with our Stockholm Cards, but it was worth the extra money. Book your Stockholm Ghost Walk here! After the tour, we stumbled upon a delicious gem: Slingerbulten. Here, we enjoyed one last traditional Swedish meal for our last night in Sweden. The first dish, “Biff Rydberg,” was a filet of beef served with horseradish, mustard, raw egg yolk, onions, and sautéed potatoes, and the second dish was tender ox cheek with smoked bacon, mushrooms, pickled red onion, and served with mashed potatoes. Neither one could’ve tasted any better, and this meal, paired with a bottle of red wine, was the perfect end to our time in Stockholm. In the morning, we’d be off to the airport, heading for Los Angeles, California. Nothing could’ve made our three days in Stockholm any better. From our cozy, high-tech room at the HTL Kungsgatan, to the uninterrupted views of medieval Gamla Stan above dazzling seawater, to all of our activities with the Stockholm Card, to our tasty traditional Swedish meals, our three days in Stockholm were perfection. Stockholm may have been on my travel bucket list before, yet nothing has changed; Stockholm remains on My Travel To-Do List. I can’t wait to return to Stockholm some day soon! Travel Alphas visited Stockholm as a guest of both the Visit Stockholm tourism board and the HTL Kungsgatan. As always, all opinions are our own. *This post contains affiliate links. This means that if you make a purchase through a link listed on our website, we will receive a commission, at no extra cost to you. These commissions help keep this website up and running, and we thank you for your support! Get our FREE eBook, 35 Strategies to Build Up Your Travel Fund! Want to save more money to travel the world? We'll show you how. Subscribe and we'll send you our FREE eBook, 35 Strategies to Build Up Your Travel Fund! Success! Please check your email now to download your free eBook! « Should You Say Yes or No to Low-Cost Airlines? Can’t believe how pretty it is! it looks like you had a good time in Stockholm! It was gorgeous! We had an unbelievable time, I highly recommend a visit! The food looks great and I did not really expect that from Swedish food!! Neither did I! I’m really craving some Swedish meatballs! Lovin’ these posts, lovin’ you even more Maddy! Keep up the fine work young lady! Stockholm looks like an impressive city, always wanted to visit (maybe because I’m half Swedish). I definitely need to explore more of Europe. Beautiful photos by the way, the food looks delicious! It certainly is an impressive city! 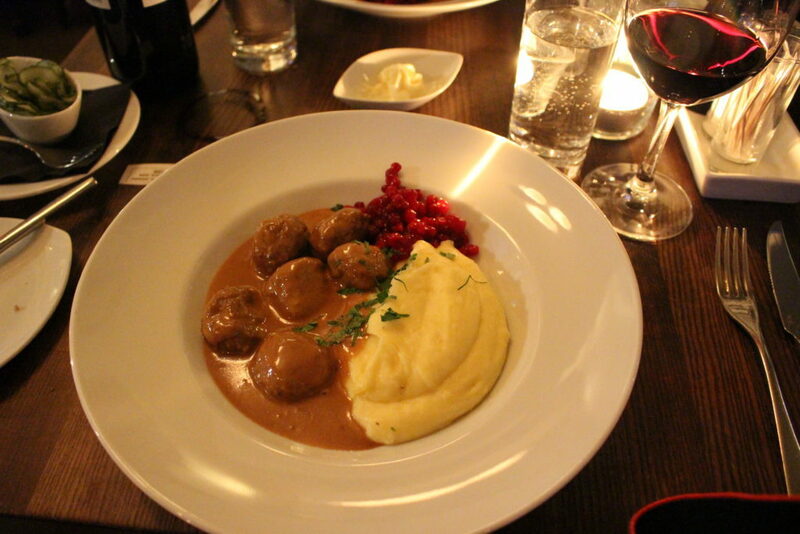 I would highly recommend a visit to Stockholm – and yes, the food was amazing! Wow Stockholm looks amazing! Definitely one for the bucket list! You’re right! We opted to skip that museum as we aren’t ABBA fans, but for those who are, that museum would be a must see! Hello! We visited in April. At that time, the city wasn’t packed with tourists yet and the weather was around 50-60 degrees F. It was lovely. I would definitely recommend visiting in the springtime. Did you feel like you could’ve used more than 3 days there? Im traveling throughout Europe/Scandinavia this summer and planned for 3.5 days in Sweden, but can add more if I think thats needed. What do you think? Thanks for the information. Planning a Stockholm trip is overwhelming and this was very helpful!